Without any warning, Blizzard Entertainment opens today the public beta testing of Start Craft II. There is no official word on how the beta keys will be given. Users stateside are supposed to be the first lucky ones to get them, Europe and Asia to follow. It has been more than twelve years since the first Star Craft was released and it has had only one expansion set – Brood War. 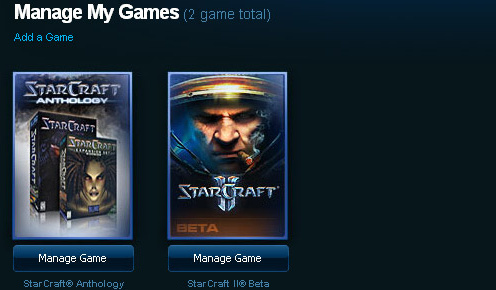 Star Craft is played at the World Cyber Games since their establishment. Star Craft is one of the best-selling games of all time with more than 12 million copies sold around the world (4.5 million in South Korea alone). This impressive record Star Craft stands next to The Sims (16 million for the first and 13 million for the second), World of WarCraft (12 million) and Half-Life 2 (10 million). The new StarCraft II will be released in three parts – Wings of Liberty (Terran Campaing), Heart of the Swarm (Zerg Campaign) and Legacy of the Void (Protoss Campaign). Each of the parts will have a single player campaign for one of the three races, with all the races available for multi-player games over the Battle.net or skirmish. LAN games will not be available. There is no word on exactly who qualifies for the giveaway, but rumor has it takes a valid Star Craft CD-key with a lots of Battle.net hours billed on it. If you are or will be among the lucky ones – congrats! There is no release date announced for Star Craft: Wings of Liberty yet. I suppose the beta test will take about as long as it did for WarCraft 3 (started in mid-winter, released in July).